Some of you might remember the handy Tiltpod stand for cameras, we featured here on Geeky Gadgets back in September last year. Well the same company that created the keyring sized camera stand have now unveiled a new stand designed for iPhones over on the Kickstarter website. 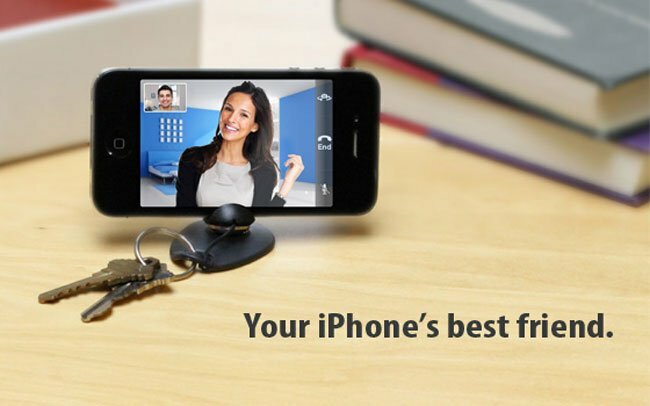 The new iPhone TiltPod uses the same ingenious little stand and joint, but is fitted with a custom designed stand which has been created to accommodate the Apples iPhone 4/4S. Watch the video after the jump to see the Tiltpod developers Clint Slone, Mike & Eric Strasser explain their solution and new design. If yu think the new iPhone Tiltpod is something you could benefit from jump over to the Kickstarter website to make a pledge and bag one for yourself for a little as $15.